Everyone feels anxious at one point or another. 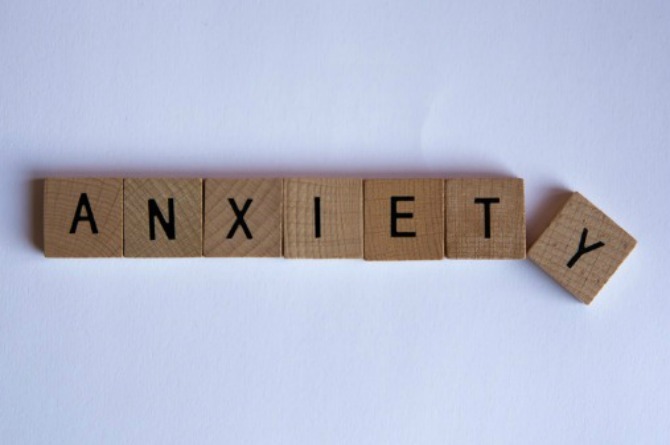 For some children however, it can be a struggle to deal with anxiety daily. Here's what you can do to help. Anxiety is defined as "a feeling of worry, nervousness, or unease, typically about an imminent event or something with an uncertain outcome." Basically, what it means is that you feel worried about something that you will be doing, or something that you want to do. It may not always be a big deal; people can get anxious right before a job interview, or for your kids, they can get anxious if they're going to a new school, or if they have an upcoming exam that they haven't studied for. In most cases, being anxious about something is normal for everyone. However, for some people it can be crippling and it can sometimes prevent them from being productive. If you feel that your child might have some form of anxiety, here are 9 things that you need to know so that you can help your child better. Now, that might sound confusing at first, so let me clear that out. As I've said above, being anxious is pretty normal, it happens to everyone at one point or another. However, if you're worried that your child might have anxiety disorder, you need to talk to them. What you can do is to tell your child that being anxious about things is normal for everyone. However if your child tells you that they get panic attacks or if it's interfering with schoolwork, it's best to consult a psychiatrist about it. You also need to reaffirm your child and tell them that it's not a defect in his personality, and with counseling and help, they will learn how to cope with it. Being anxious all the time can be very stressful, and it can be very draining. If you see your child getting to stressed out about things, tell them that it's totally fine to stop, and take a break. Tell them that it's fine to have some alone time so that they can gather themselves and just relax. Having these private moments can help ease their anxiety. Sometimes the simplest things can be very impactful. Just talking to your child about their anxiety can do a lot to ease it. You can also tell your child that they can talk about it with a teacher, anyone in the family, or anyone that they trust in general. Finding an outlet for their emotions can help them cope with it better; it's a cathartic experience and it eases the weight of anxiety on their minds. To learn more, go to the next page! Having anxiety can take its toll on your child. If you see that your child is getting bad grades, you need to be more understanding and supportive. Telling your child to do better, or scolding them for having bad grades will just make things worse. If you can, help your child study and always make sure that your child feels that they always have you to help them out. Set expectations for your child and help them out with every step of the way. In some cases, having anxiety can keep your child awake at night, which only causes further problems since they will be tired and they will have a hard time at school the next day. Make sure to tell your child that sleep is important since it makes them clear-headed, and it keeps them healthier. Sleep is good. If your child is afraid of crying or if they feel that it's a sign of weakness, tell them it's not. It's totally fine to cry if they're getting overwhelmed. Crying is a form of release, and it also helps alleviate their anxiety. So let them cry, and always be there for your child. Let's face it, most kids will want to be a part of the "cool kids" circle in their school. If your child is anxious over not being a part of that group, tell them it's okay, and that they'll be better off finding a group of friends where they can fit in. Tell your child that finding a circle of friends that they're comfortable with is better than trying to be "cool," and having supportive friends can also help your child in dealing with their anxiety. Anxiety isn't always tied to the people that you're with, or the environment you're in, so if you're planning to take your child to a different school or move to a different place, then it's not the solution. Anxiety is something that people learn to handle and cope with, it will always be there. So the best plan of action would be to help your child cope with anxiety slowly and surely. You need to take it one step at a time, and always reassure your child that you will be there every step of the way. If your child feels that their anxiety is a sign of weakness, then that will just make things worse for them. As a parent, you need to make sure that they don't feel that way. You need to always be there for them and help them every step of the way. Anxiety is something that will always be there, but it shouldn't stop your child from doing the things that they want to do. Having a good support group at home does wonders for their anxiety and it makes them feel less anxious about everything in general. 'Tarak Mehta Ka Oolta Chashma' actor Disha Vakani welcomes a baby girl!